The estimated total cost for each three-credit hour course is approximately $2,500 (Note: if you are a Texas resident, your cost is lowered to approximately $1,400 due to state subsidization). The graduate certificate requires completion of 4 three-credit hour courses. 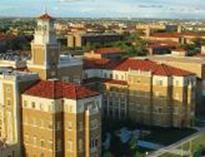 This estimate includes distance and on-campus access to all Texas Tech University Library resources. The cost of course text books varies.